Doing research in education is difficult, very difficult. Trust me. So while this review may come as a shock, I’m not that shocked. I’m performing a RCT myself at the moment and doing it in real life situations is proving to be very hard. There are a growing number of large-scale educational randomized controlled trials (RCTs). Considering their expense, it is important to reflect on the effectiveness of this approach. We assessed the magnitude and precision of effects found in those large-scale RCTs commissioned by the UK-based Education Endowment Foundation and the U.S.-based National Center for Educational Evaluation and Regional Assistance, which evaluated interventions aimed at improving academic achievement in K–12 (141 RCTs; 1,222,024 students). The mean effect size was 0.06 standard deviations. These sat within relatively large confidence intervals (mean width = 0.30 SDs), which meant that the results were often uninformative (the median Bayes factor was 0.56). We argue that our field needs, as a priority, to understand why educational RCTs often find small and uninformative effects. To understand the impact of students’ assessment of their own work, Ernesto Panadero and colleagues from Spain analyzed 19 studies comprised of 2,305 students from primary schools to higher education. The meta-analyses only included studies published in English that contained empirical results of self-assessment interventions in relation to SRL and/or self-efficacy, had at least one control group, and had been peer-reviewed. The authors suggest that self-assessment is necessary for productive learning but note that the results have yet to identify the most effective self-assessment components (e.g., monitoring, feedback, and revision) in fostering SRL strategies or self-efficacy. Found this via Tim Surma (do follow him! ), check the source here. In 2015 I wrote this blogpost on a meta-analysis on the training of executive functions. The results were a bit depressing. Today I found a new meta-analysis via Jeroen Jansen and the results… are again not that good and it all has to do with one of the key concepts in education: transfer. The meta-analysis was based on 38 studies with 47 contrasts. In the present meta-analysis we examined the near- and far-transfer effects of training components of children’s executive functions skills: working memory, inhibitory control, and cognitive flexibility. We found a significant near-transfer effect (g+ = 0.44, k = 43, p < .001) showing that the interventions in the primary studies were successful in training the targeted components. However, we found no convincing evidence of far-transfer (g+ = 0.11, k = 17, p = .11). That is, training a component did not have a significant effect on the untrained components. By showing the absence of benefits that generalize beyond the trained components, we question the practical relevance of training specific executive function skills in isolation. Furthermore, the present results might explain the absence of far-transfer effects of working memory training on academic skills (Melby-Lervag & Hulme, 2013; Sala & Gobet, 2017). The most important aim of the present meta-analysis was to gain a deeper understanding of whether and to what extent the different components of executive functions are trainable and whether train- ing a specific executive function has an ameliorating effect on other main executive function components. This is of crucial importance because in the long run the main aim of training executive functions skills is to improve children’s everyday functioning; for example, academic and social skills as well as emotion regulation. 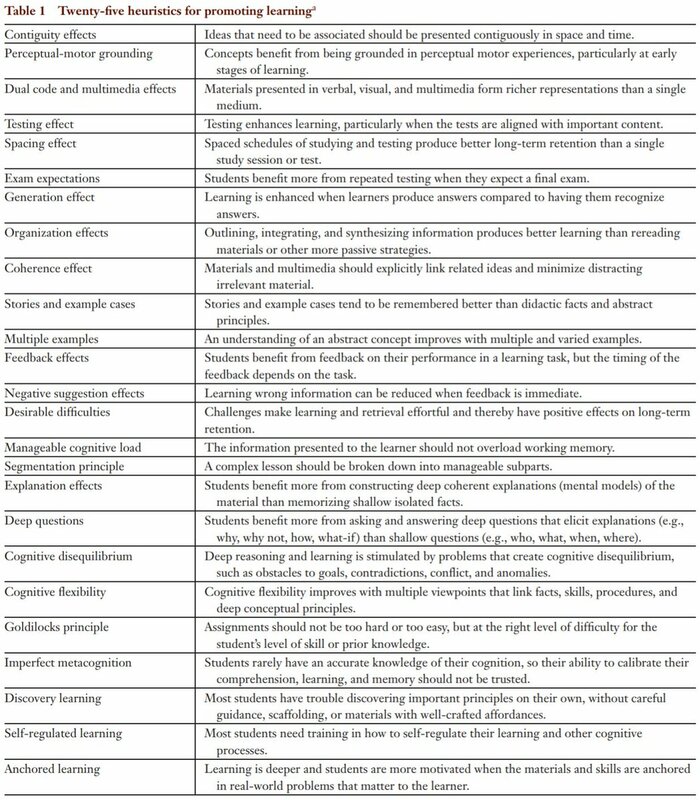 These complex skills are not supported by one sole executive function but generally rely on the interplay among most of them. Overall, we found a significant, medium-sized near-transfer effect. However, no far-transfer effect appeared. More specifically, there were significant near-transfer effects on all three components: a moderate-sized effect on working memory and small-sized effects on inhibition and cognitive flexibility. In contrast, no far-transfer effects were found on working memory, inhibitory control, or flexibility. The finding that there was a significant near-transfer effect excludes the possibility that the interventions in the primary studies were not effective in training the components that they targeted. Instead, performance on the components that were trained did significantly improve, however, these gains did not transfer to the untrained components. The lack of far-transfer effect found in the present meta-analysis even within the set of executive function skills makes it—though logically not impossible—still highly unlikely that training unique executive functions could have measurable ameliorating transfer effect on more distantly related and complex constructs, such as academic and social skills (Blair & Razza, 2007) that rely just as much on the trained executive function component as on the other untrained and largely unaffected components. The results of the present meta-analysis therefore provide a possible explanation for the previously found absence of far-transfer effects of working memory trainings on academic skills. The present meta-analysis shows that there are limited practical benefits— other than on the trained component— of training single executive function components in childhood. Thus, it might be more advisable, both in the educational and in the clinical practice, to use approaches that target multiple executive function components. So maybe you can’t train ‘executive functions‘, but you can train an executive function. Lastly, extra technology-related learning tools during CSCL positively affected knowledge gain (+0.55), as did the use of strategies (+0.38).